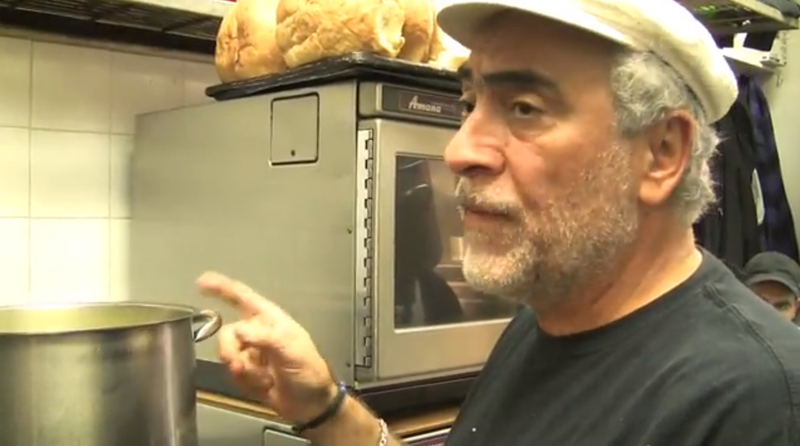 Kasia Havins shows off her new ink, a Wine Riot temporary tattoo. 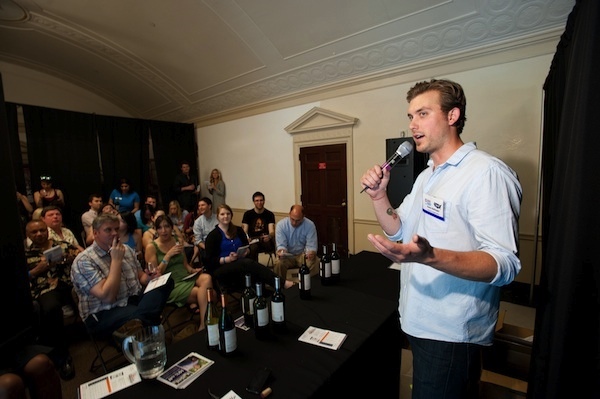 Students at Owen Bettinger’s “Back That Class Up” seminar tested their ability to taste the difference between cheap and expensive wines. Photograph by Jeff Martin. 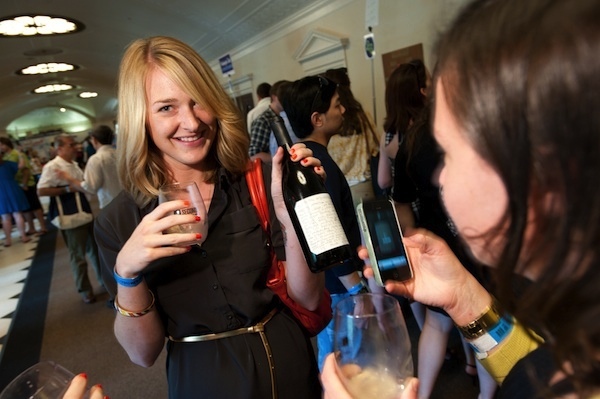 Anna Dunham looks on as a friend snaps a photo of Sexual Chocolate, a blend of Zinfandel and Syrah from San Francisco. Photograph by Jeff Martin. 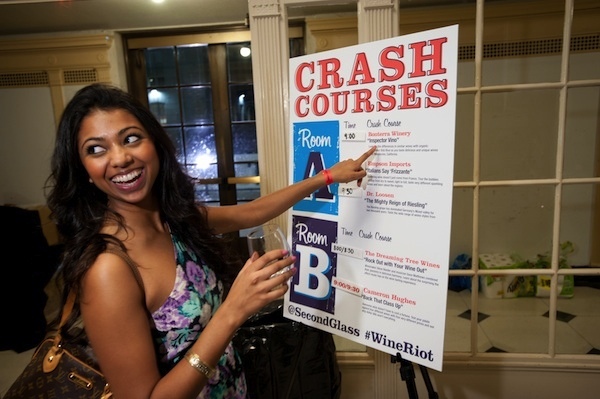 Resham Parikh peruses course options such as “Italians say Frizzante,” in which attendees learned that not all sparkling wine comes from France. Photograph by Jeff Martin. 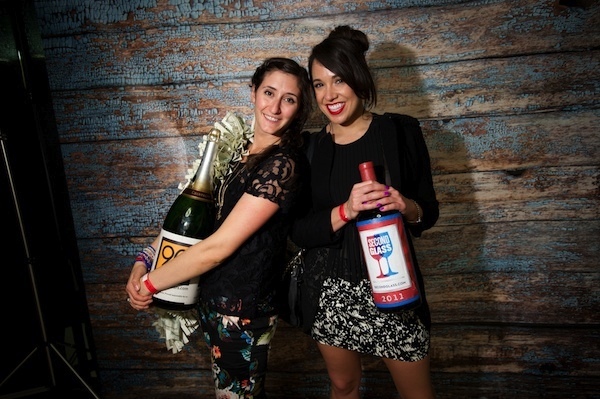 Kathleen Mannis and Alegra Howard pose with quadruple magnums in the photobooth. Photograph by Jeff Martin. 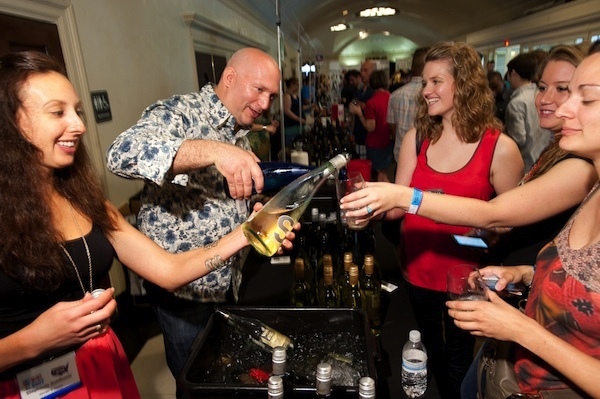 Stephanie Kohlbauer and Filippo Lapieds pour samples of Si Soave (an Italian white blend) and other wines for Rachel Holleman, Jordan Edgley, and Jessica Alvarez. Photograph by Jeff Martin. 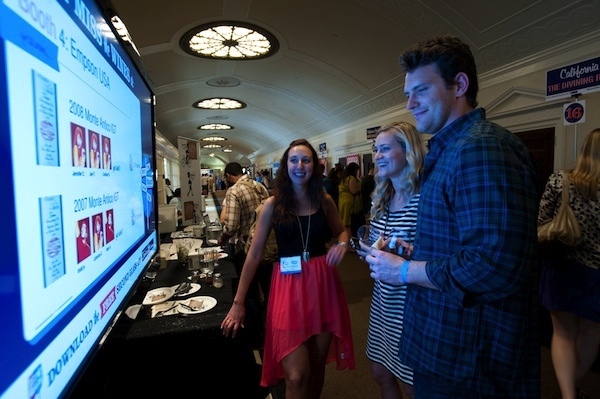 Kohlbauer and friends check the scoreboard–attendees voted for their favorite wines via a smartphone app. Photograph by Jeff Martin. 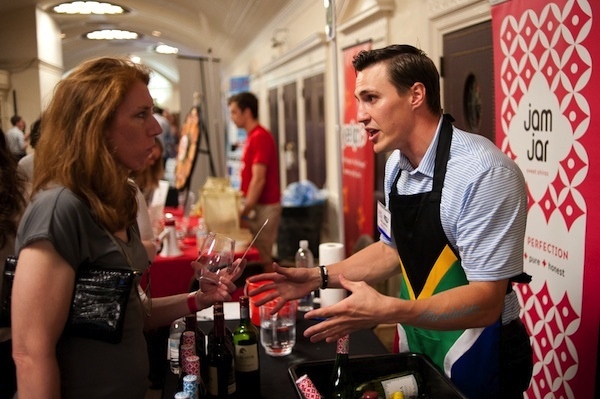 Matt Leemhuis teaches Kris Kazem about Jam Jar Swet Shiraz, a South African wine. Photograph by Jeff Martin. 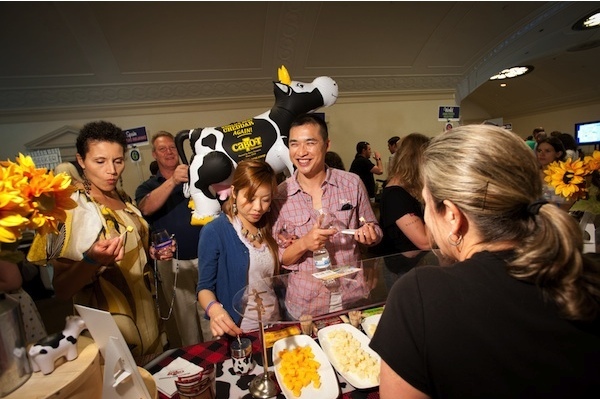 Anh Hung and Li-Chih Chen take a sipping break to sample Cabot’s Seriously Sharp Cheddar. Photograph by Jeff Martin. 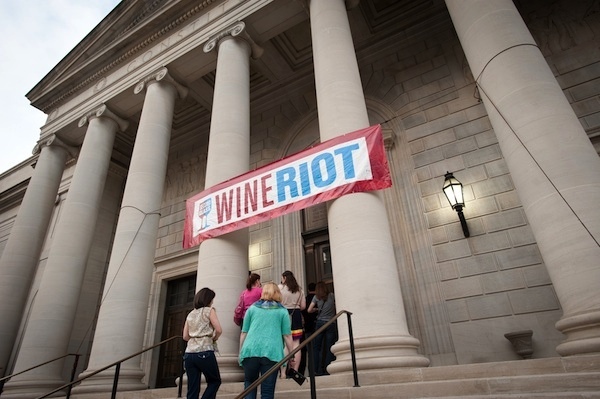 The Wine Riot banner outside DAR Constitution Hall. Photograph by Jeff Martin.